What is your circulatory system? Your circulatory system is made up of your heart, blood vessels, arteries and veins which carries oxygen and nutrients all around the body, and takes waste products away for excretion through the kidney’s and the digestive system. 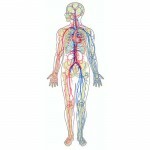 Many problems can arise if the circulatory system becomes impaired. Problems with your circulatory system arise when there is limited blood flow to the brain, legs, hands, kidney’s, heart and rest of the body, including the fingers, toes and feet. Circulatory system problems can be caused by certain medical conditions, lifestyle factors and behaviors. According to the Mayo Clinic – Circulatory problems in your hands may very well be the effect of a number of disorders, such as autoimmune ailments, injury, structural problems, anemia and hereditary conditions, the first indicator of your blood circulation difficulty could possibly be numbness, tingling, change in skin coloring or possibly a sensation that your hands are cold. Circulatory problems in diabetics can be related to high sugar levels in the blood. As a result uncontrolled blood sugars limits the ability of the body to heal wounds and the impaired circulation results in much longer wound healing times and may cause wounds not to heal properly and results in surgical intervention. Increasing the circulation of the blood can help speed wound recovery times. Another complication found from the lack of proper circulation is neuropathy which is the deadening of the nerves due to the fact that they are not getting the right amount of circulation. Neuropathy is a common complaint in diabetics and is usually found in the feet and can become a serious problem if not properly cared for. A common problem in diabetics from neuropathy is sores on the feet known as decubitus ulcers these sores can develop anywhere but are very common on the feet. Several herbs can help treat circulation issues. Cayenne can assist with inadequate circulation within your feet; Cayenne Pepper is amongst the most essential herbal treatments with regards to the treatment of difficulties with the circulatory system. Another way to help your circulatory system is to get plenty of exercise. Massage therapy can be very beneficial in the treatment of poor circulation. Therapeutic massage can also aid in reducing muscle tension and chronic pain, increase joint flexibility and reduce stress and fatigue. Massage therapy can promote faster healing of damaged muscle tissues as well as reduce blood pressure and improve your posture. 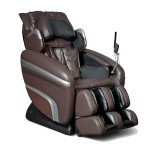 With the advances recently made in the Massage Chair industry they are an excellent choice for a person to use in the aid of circulatory problems. These new chairs now utilize a new feature called air bag therapy and these functions use up to 51 air bags threw out the chair to help improve your blood circulation as well as reduce muscle tension. So in conclusion taking proper care of your circulatory system is very important to a healthy life style and with proper diet and exercise and the utilization of a quality massage chair such as those found at WellnessGeeky here you will be sure to live a more enjoyable and healthy life.